Our family LOVES nandos. We love everything about it! 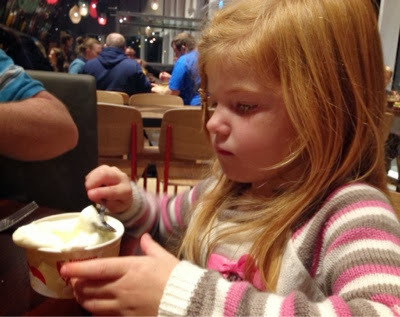 Everytime we visit the metro centre we have to visit so you can imagine our excitement when we found out a brand new branch at the Silverlink was opening and it is just 5 minute from our house. We were even more excited when we were invited to attend a special preview evening tonight ahead of the official opening on Wednesday 30th October. 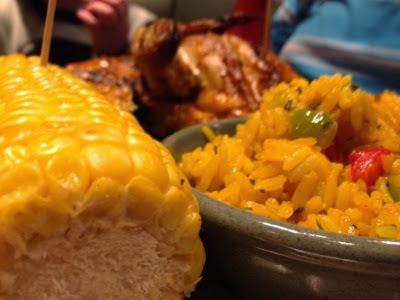 I am guessing most people have been to nando's and what I like is you get the same experience at every branch - you know the score and Silverlink is no different. 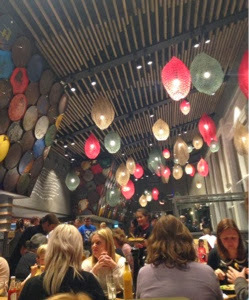 The atmosphere had the usual quirky nando's style and is light and airy with high ceilings. It was quite noisy, but this just adds to the vibe of the place. 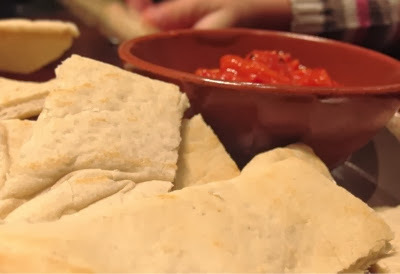 We ordered our favourite starter of red pepper dip with pittas - everyone in our family loves this! 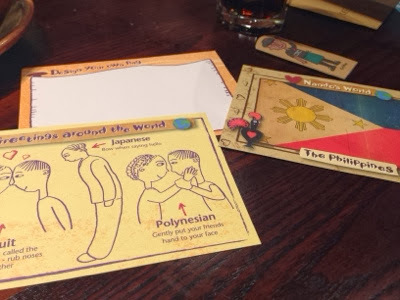 The children were given activity packs which included finger puppets, nando's temporary tattoos and a card to design your own flag. The kids were happy with these. There was a little wait for our mains but I will definitely let them off for this - it was explained this night happen as it was their first night of service. Every table in the restaurant was taken and it took about 30 minutes for our mains to arrive. It could have been a lot worse! Our food was worth the wait and up to the normal nandos standard. Children can dine from the Nandino's menu which includes a main (you can add mild marinades), 2 sides (corn on cob a firm favourite) and either a chilly billy lolly or unlimited frozen yoghurt for £5.25. You can add cordial for £1.50 or organic milk for £1. We were very well looked after during our visit. What really sets nandos apart for me is how the staff seem to generally care that you are happy and having a nice time. 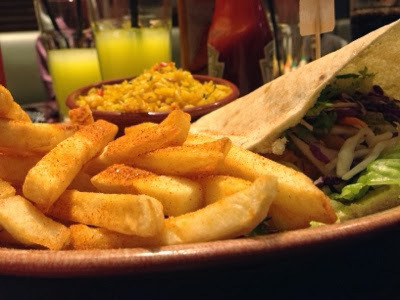 Nando's Silverlink is sure to be very popular with locals, especially as they offer a takeaway service - I know where I'll be heading after work on a Saturday night now! They also offer 20% emergency service discount, armed forces discount and a very popular loyalty scheme where you can exchange chilli points for free food! Disclaimer:- we were invited to enjoy a complimentary meal during a pre-opening evening. We were not asked to write this blog post in return. All views are my own.